followed by: Discussion Group: "Public Production, Public Participation"
Andrew Gannon: Lunchtime Artist Talk (OPEN 2015) from Live at LICA on Vimeo. Laurence Payot: Lunchtime Artist Talk (OPEN 2015) from Live at LICA on Vimeo. Romany Dear: Lunchtime Artist Talk from Live at LICA on Vimeo. 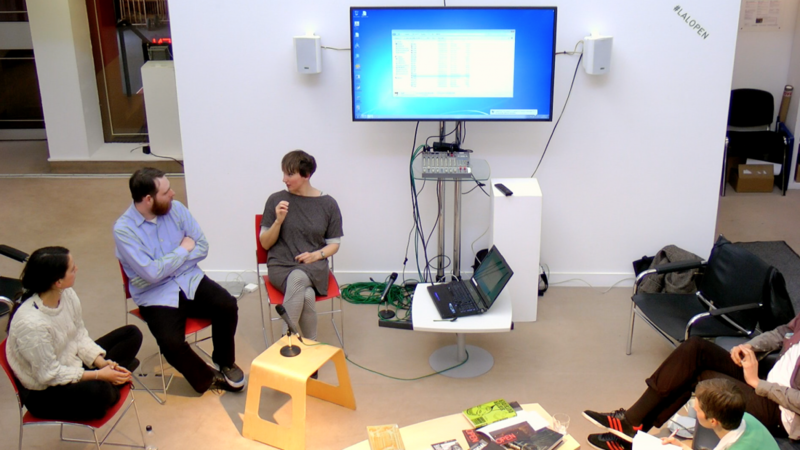 Public Production, Public Participation: Lunchtime Talk Discussion (OPEN2015) from Live at LICA on Vimeo.